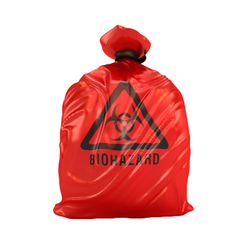 We hold expertise in manufacturing of Biohazard Disposal Bags, which are widely used for collection of biomedical waste. These bags ensure proper disposal of the medical waste as it is highly contagious and can spread harmful infections. This product range is manufactured in strict adherence with the industry standards and prescribed norms. 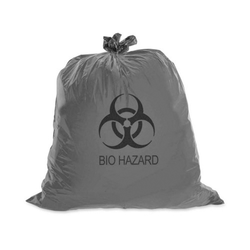 We are one of the prominent manufacturers of Biohazard Waste Bags. The offered Bio-Hazardous Waste Bags are developed using quality assured raw material and sophisticated technology. These bags come with appropriate symbols printed on them such as red and black biohazard, contaminated line, infectious waste, and chemo. Looking for Bio-hazard Bags ?